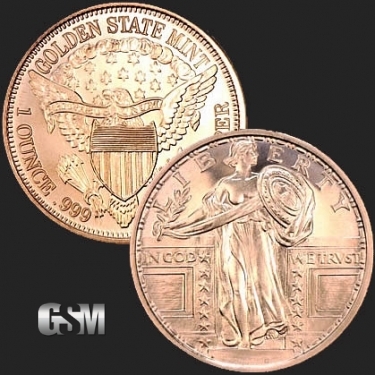 The Golden State Mint Standing Liberty 1 ounce ADVP Copper Round is a replica based on the 25-cent coin struck by the United States Mint from 1916 to 1930. 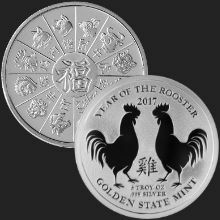 It succeeded the Barber quarter, which had been minted since 1892. The obverse features the goddess of Liberty on one side and an eagle in flight on the other, the original coin was designed by sculptor Hermon Atkins MacNeil. 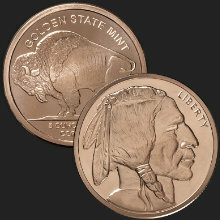 This beautiful round is struck in .999 fine copper bullion, brand new direct from the mint. 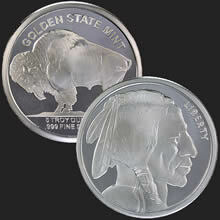 Golden State Mint has been minting precious metals since 1974. Our rounds are insured and shipped safely and securely. Free Shipping on domestic all orders. If you liked this product, you should check out our 1/2 oz Copper Standing Liberty, 1/4 oz Copper Statue of Liberty, and 5 oz Copper Walking Liberty.